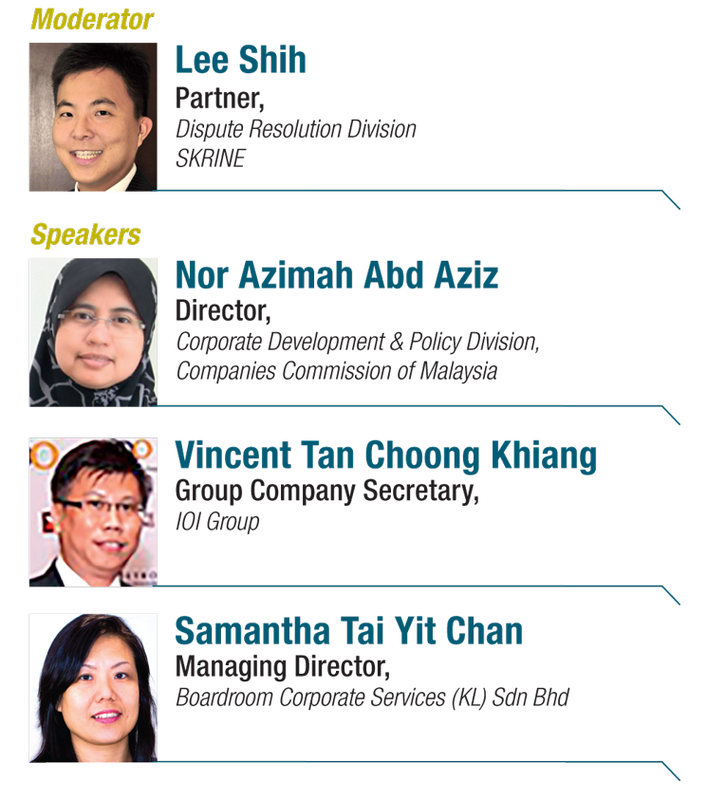 I will be moderating a session at the Malaysian Institute of Accountants Conference 2014 this Wednesday 5 November 2014. It will be on the new Companies Bill and its impact on Malaysian businesses and economy. It should be a very interesting session and I have been liaising with the speakers on the panel. Will keep the format as a group discussion and try to draw out all the different issues. 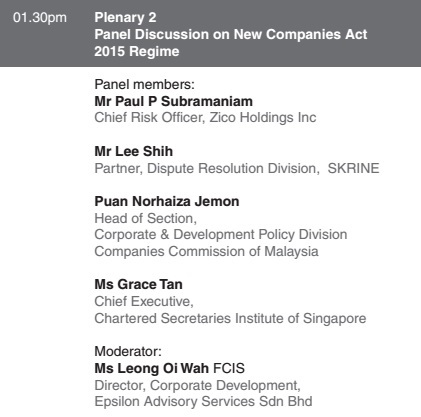 On 25 August 2014, I will be speaking at the Regional Insolvency Conference 2014 organised by the Law Society of Singapore. I will be a speaker at the first Plenary Session focusing on a regional update and trends in insolvency in India, Malaysia and Vietnam. I will be speaking on the Malaysian perspective. The main areas I will briefly touch on will be on an introduction to Malaysia’s insolvency laws, in particular, on any cross-border insolvency provisions. And then I will introduce the upcoming changes to insolvency with the new Companies Bill. Malaysia will be introducing the Corporate Voluntary Arrangement (borrowing it from the UK) and judicial management (borrowing it from Singapore).